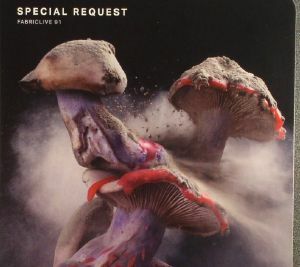 SPECIAL REQUEST/VARIOUS Fabriclive 91 vinyl at Juno Records. 1. Aleksi Perala - "UK74R1619170"
2. Special Request - "Telepathic Dog"
3. Caustic Window - "Cordialatron"
4. DJ Stingray - "Solitude"
5. Plastician - "The Lift"
6. Special Request - "Psychic Vampires"
7. Claro Intelecto - "Peace Of Mind"
8. Polygon Window - "Audax Powder"
9. Abul Mogard - "Desires Are Reminiscences By Now"
10. Dexter - "No More"
12. Alden Tyrell - "Obsession BTZ"
13. Stanislav Tolkachev - "See You Tomorrow"
15. Stefan Vincent - "Aquilae"
16. Special Request - "The True Knot"
17. Christian Vogel - "Atomic Layers"
20. Forest Drive West - "Turtle Break"
21. 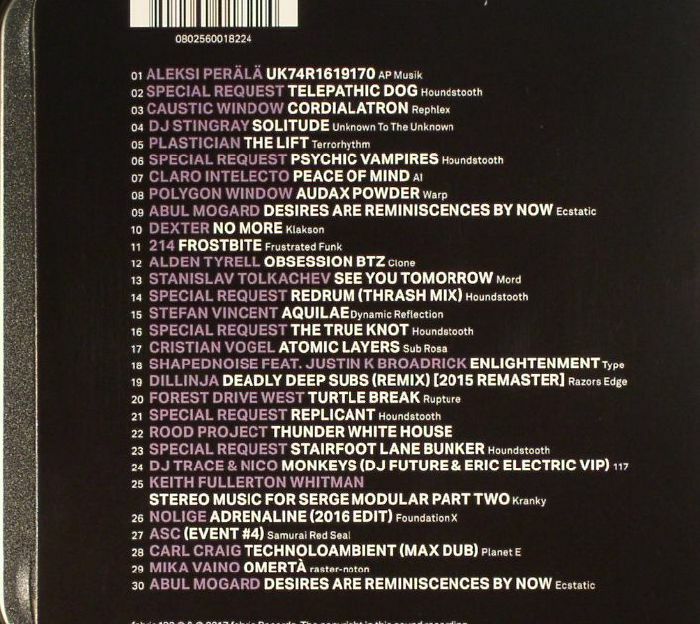 Special Request - "Replicant"
22. Rood Project - "Thunder White House"
23. Special Request - "Stairfoot Lane Bunker"
25. Keith Fullerton Whitman - "Stereo Music For Serge Modular Part Two"
27. ASC - "(Event #4)"
29. Mika Vaino - "Omerta"
30. Abul Mogard - "Desires Are Reminiscences By Now"